Myron Bradford is the Senior Pastor of New Jerusalem Baptist Church, a multi-cultural church, dedicated to reaching the community and the world-at-large with the message of Jesus Christ; and a church that stands as a beacon of hope, in the McKinney community, for four decades. The Los Angeles, California native received his call to preach at the age of 15, under the leadership of his parents, Evangelists Leon C. Shaw, and Bernardine Shaw, founders of New Day Miracle Revivals, Inc. He was licensed and ordained in 1986, by Pastor H.E. Debose, Simmonsville Missionary Baptist Church, Killeen, Texas, and became the Assistant Pastor of the Metropolitan Baptist Church, Muskogee, Oklahoma, in 1987. He also served as Youth Pastor for Greater Faith Baptist Church, Tulsa, Oklahoma, under the leadership of Pastor Jimmie Dixson, in 1994. In 1997, Pastor Bradford and his family moved to Texas, and became members of The Potter’s House Church of Dallas, under the leadership of Bishop T.D. Jakes, Sr., and Mrs. Serita Jakes, where He served as an ordained Elder for 16 years. During his tenure at The Potter’s House, he was a team leader in the Department of Ministerial Affairs, assisting with the oversight of over 500 Ministers and Elders; a Bible Instructor in The Potter’s Institute and The Potter’s House Youth Ministry; and team leader in the Bereavement & Hospitality Ministries. 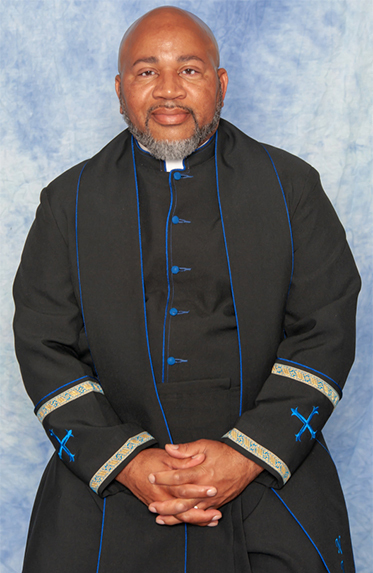 He accepted the call to become Senior Pastor of New Jerusalem Baptist Church in 2014. Pastor Bradford is an anointed visionary, leader, preacher & teacher, whose primary desire is to see lives changed and empowered by the Word of God. He is the founder of the Community C.A.R.E. Program, a non-profit organization dedicated to providing resources, economic empowerment and development, to families and communities in need. He and his wife Deborah have been married 35 years. They are the proud parents of four children and six grandchildren.